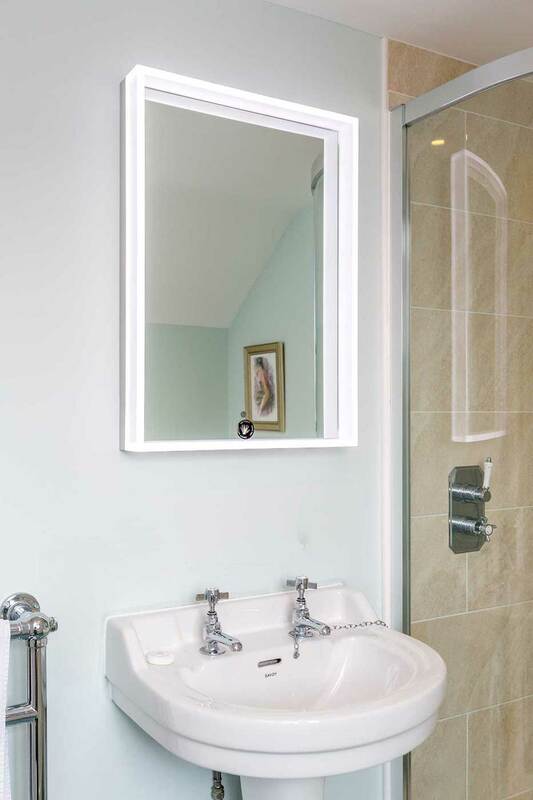 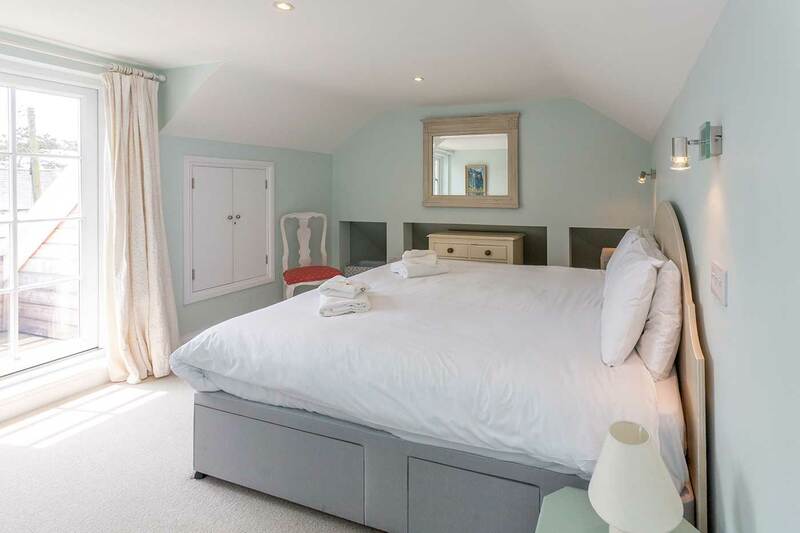 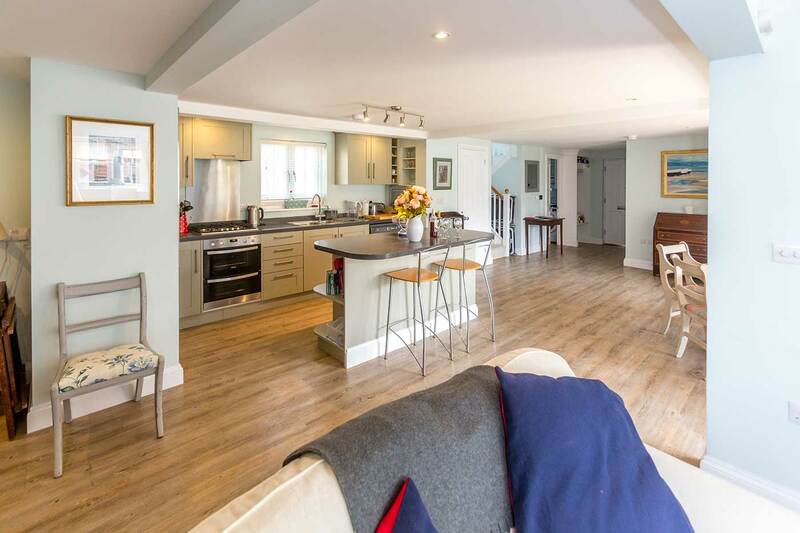 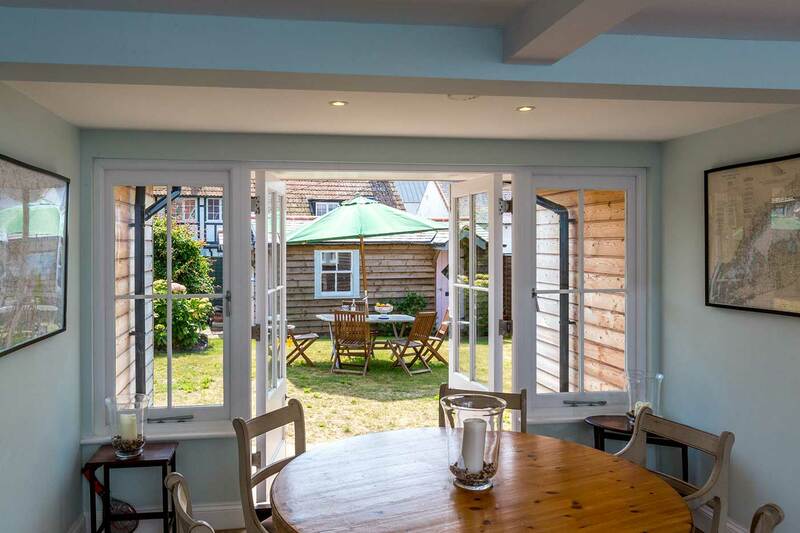 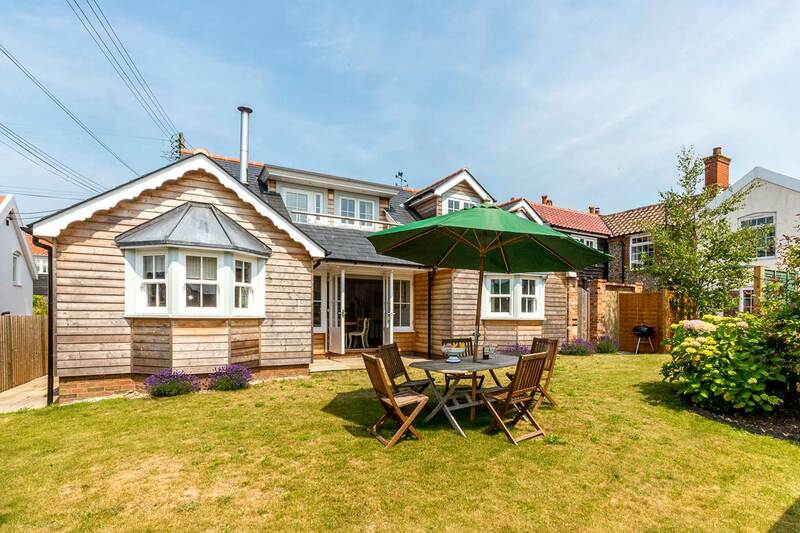 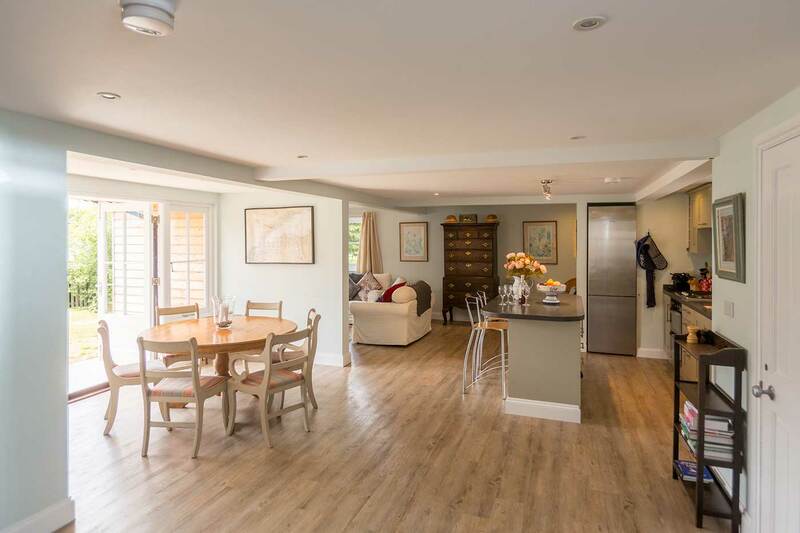 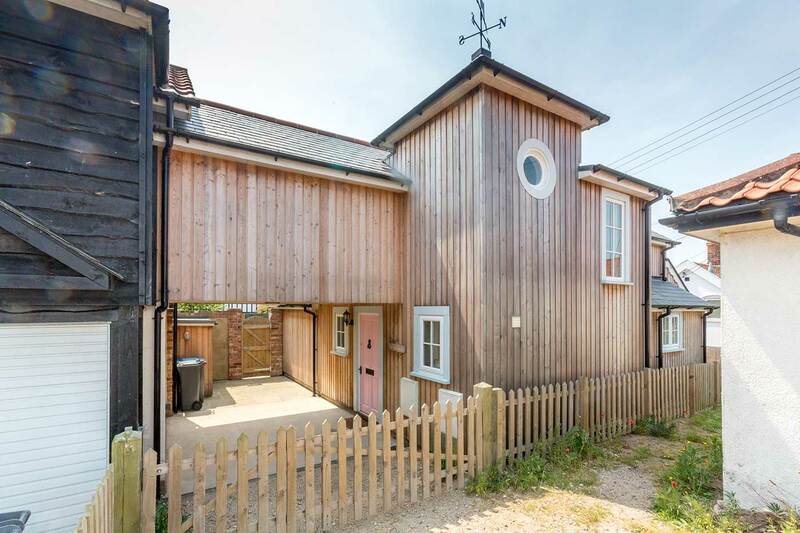 Situated just a few steps away from the beach, this recently built seaside holiday home reflects the combination of the quirky architecture of a traditional Thorpeness house with all modern amenities. 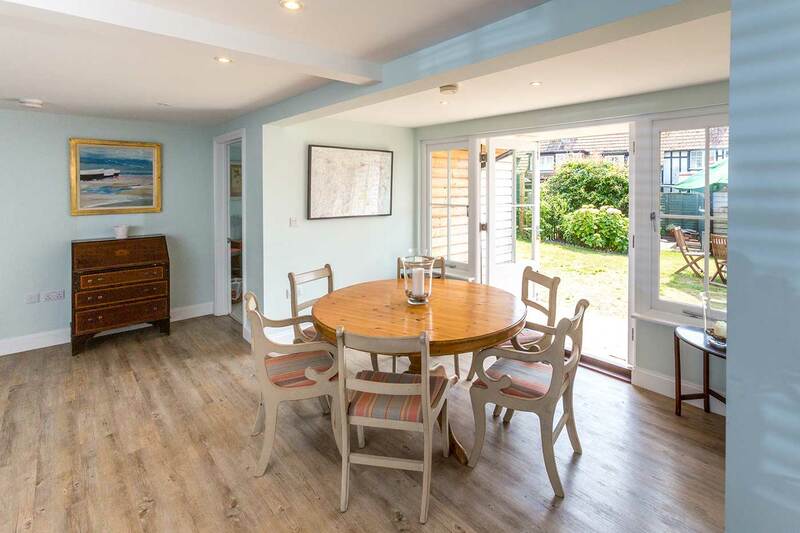 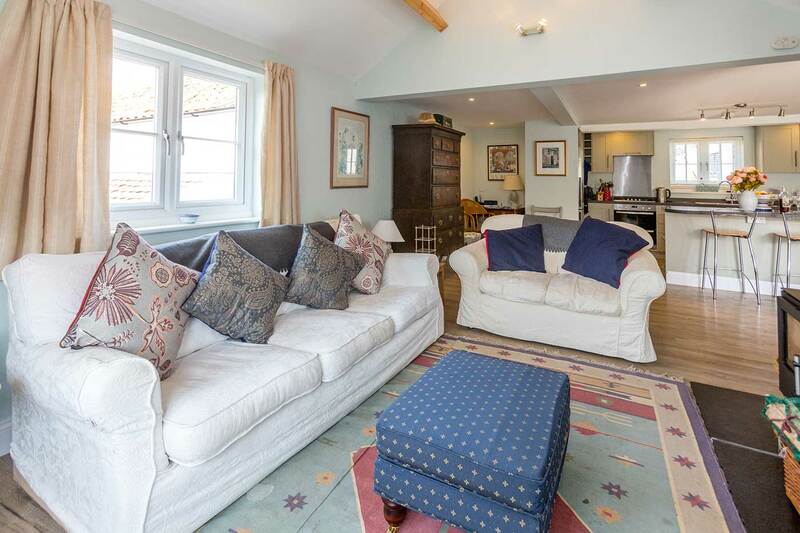 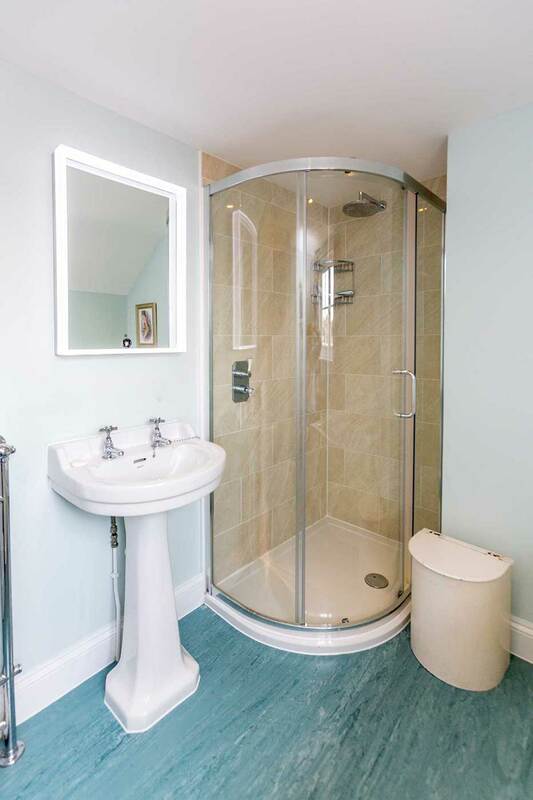 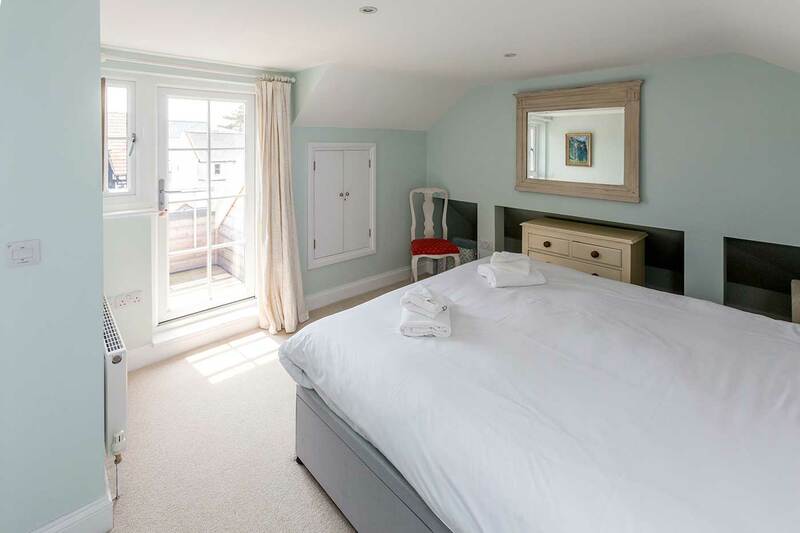 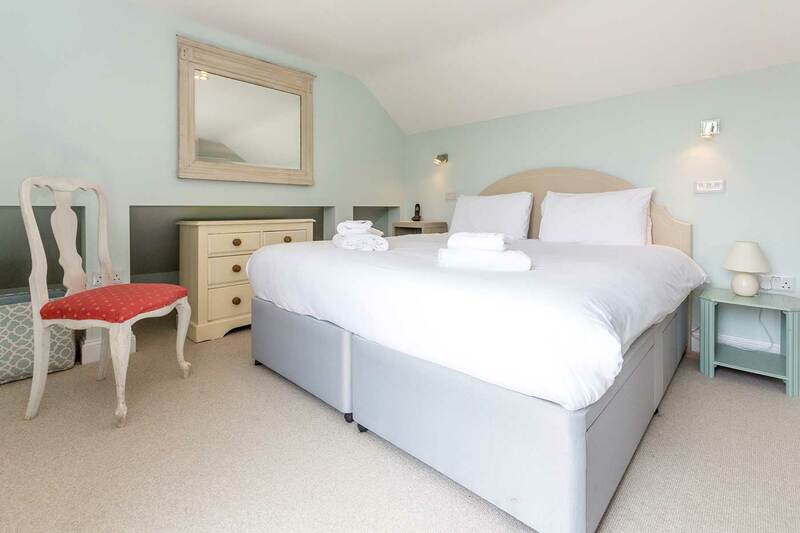 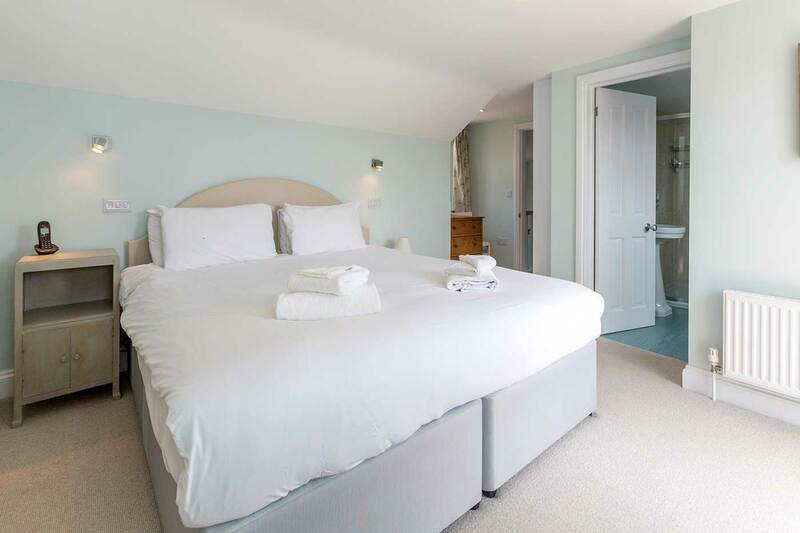 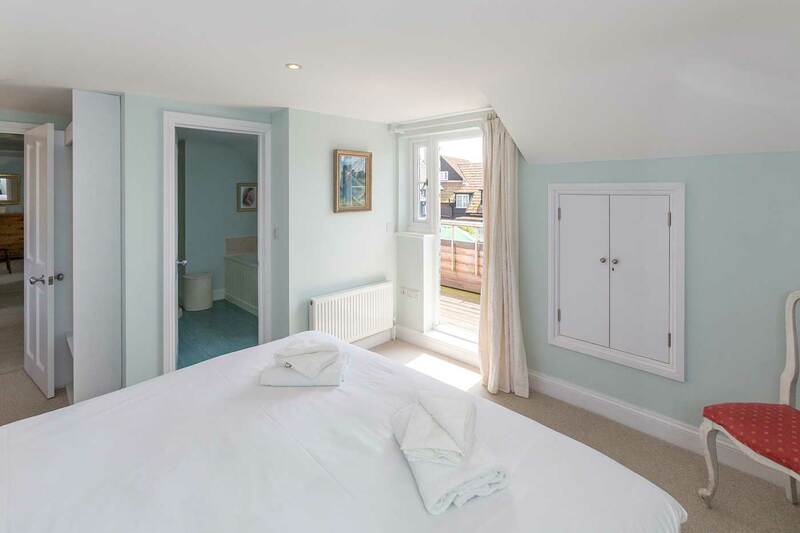 With lovely views of the famous Boating Meare from the first floor balcony, The Pink House is situated down a small private lane just off the road and a stones throw away from Thorpeness Tennis courts and Country Club. 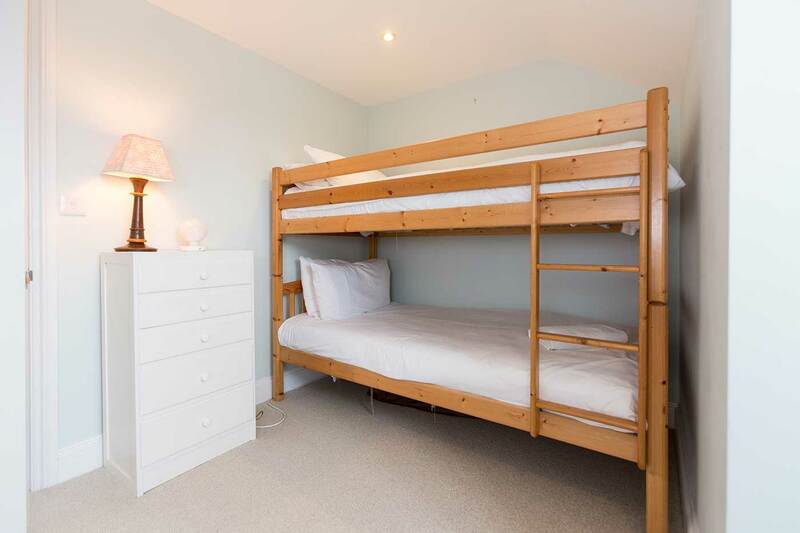 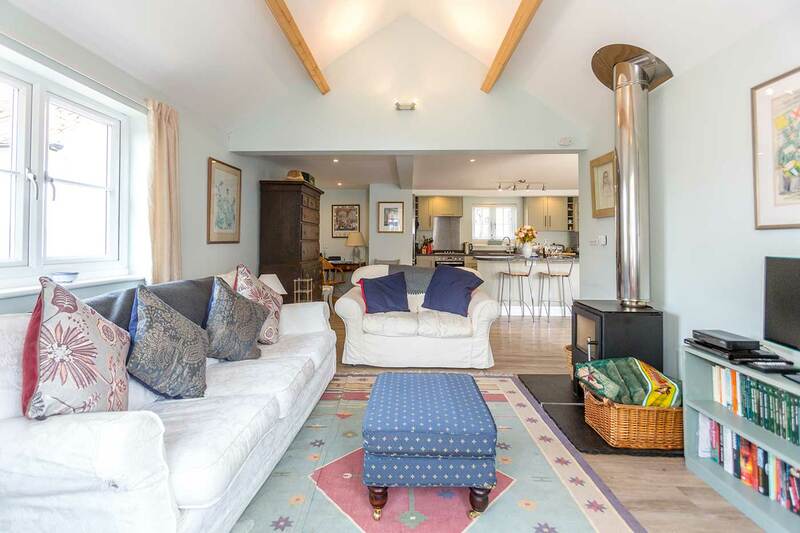 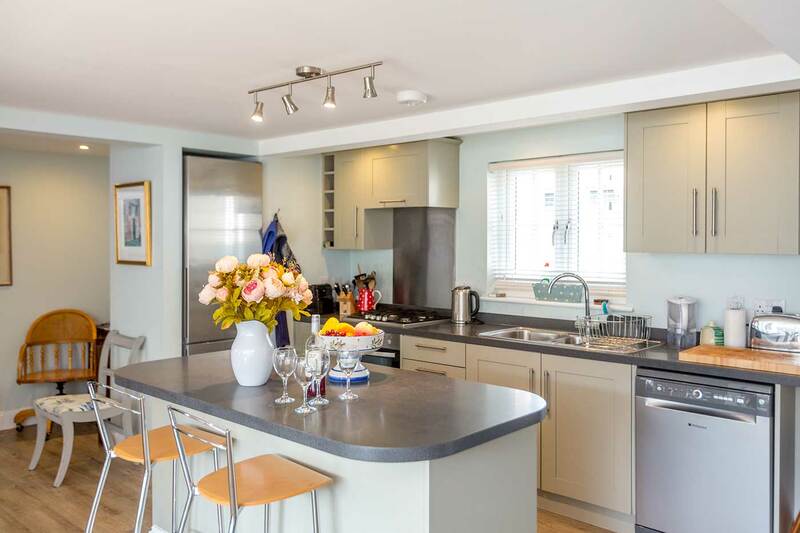 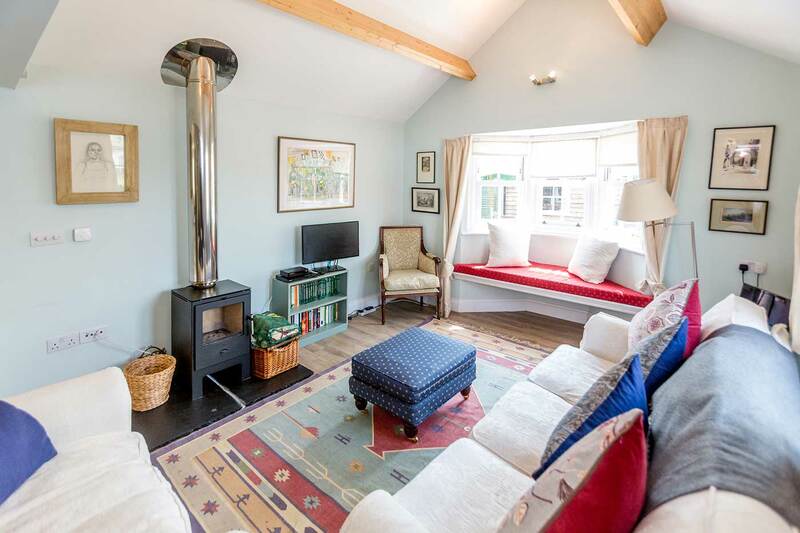 This superbly designed property has four bedrooms, spacious open plan living area, well equipped kitchen and a balcony on the first floor with lovely views making it a perfect base for large groups or families looking for a perfect holiday by the seaside. 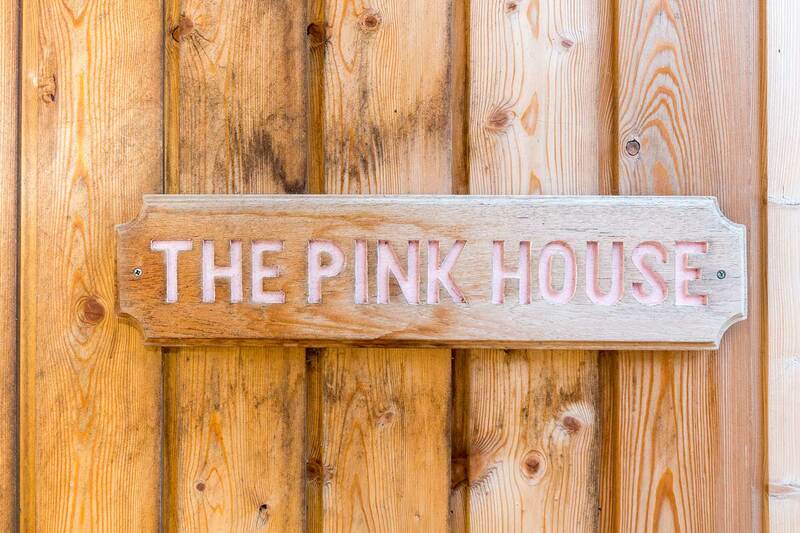 The Pink House is next door to Sea View (sleeps 12) – groups of up to 20 can rent both properties by arrangement. 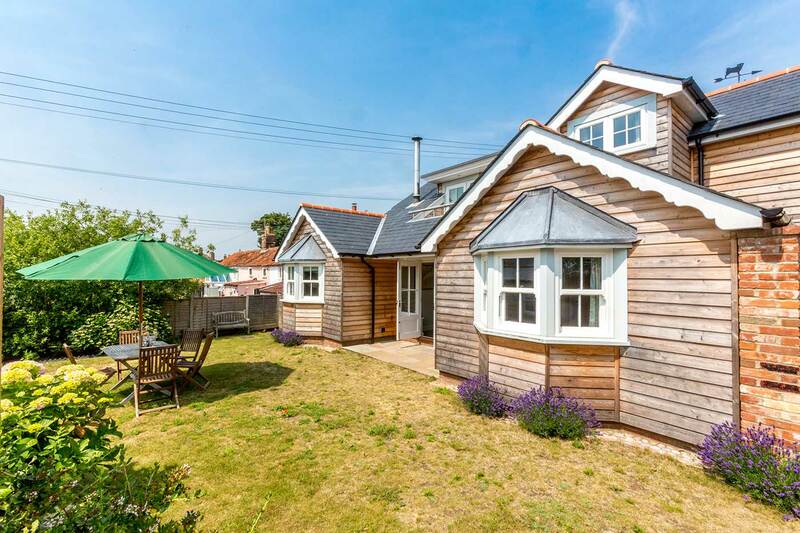 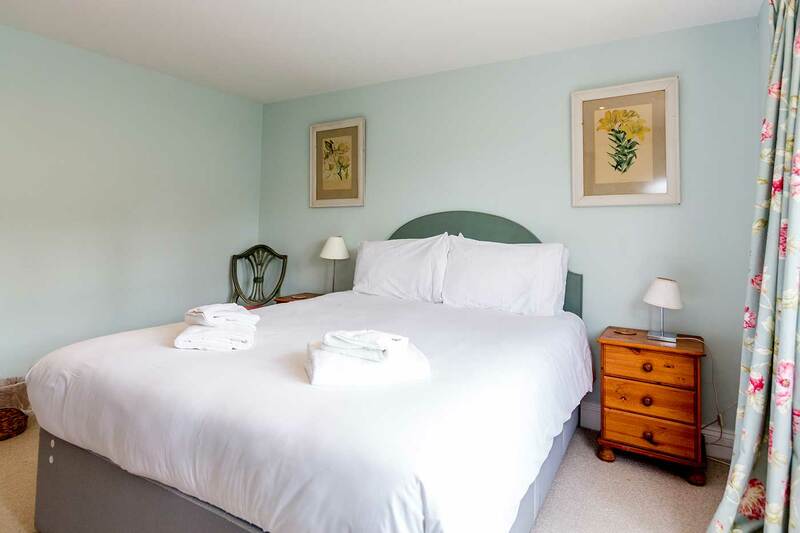 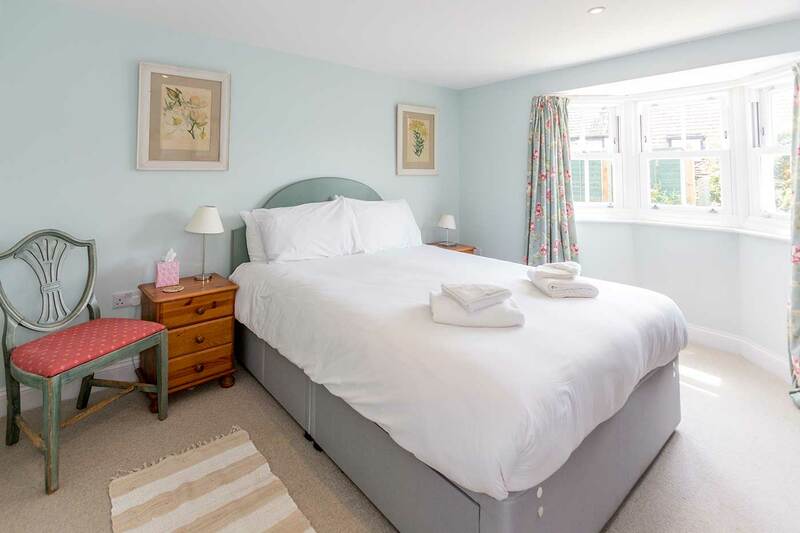 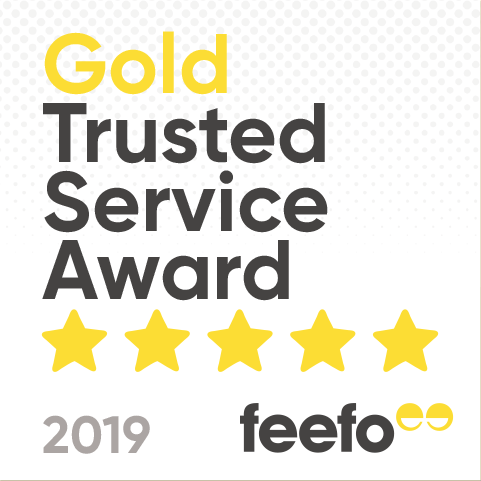 ‘Good service’ I would recommend Aldeburgh Coastal Cottages because they were organised, prompt, helpful and understanding. 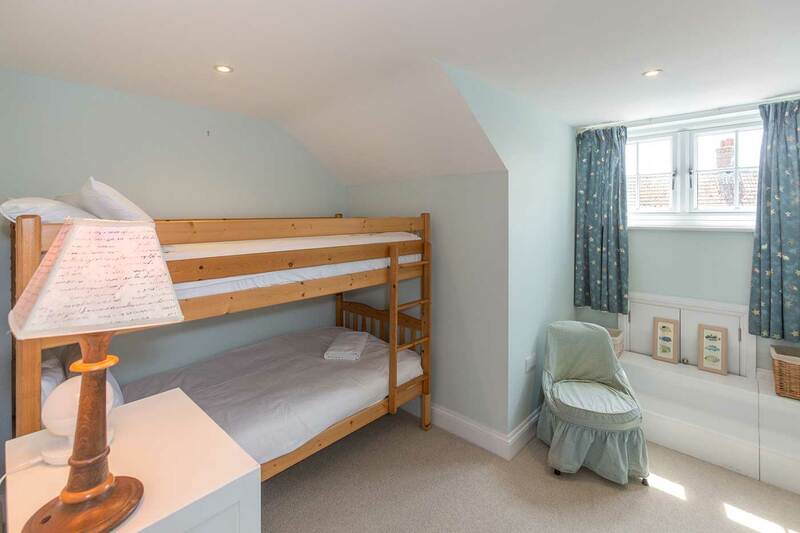 They were available when I needed some help. 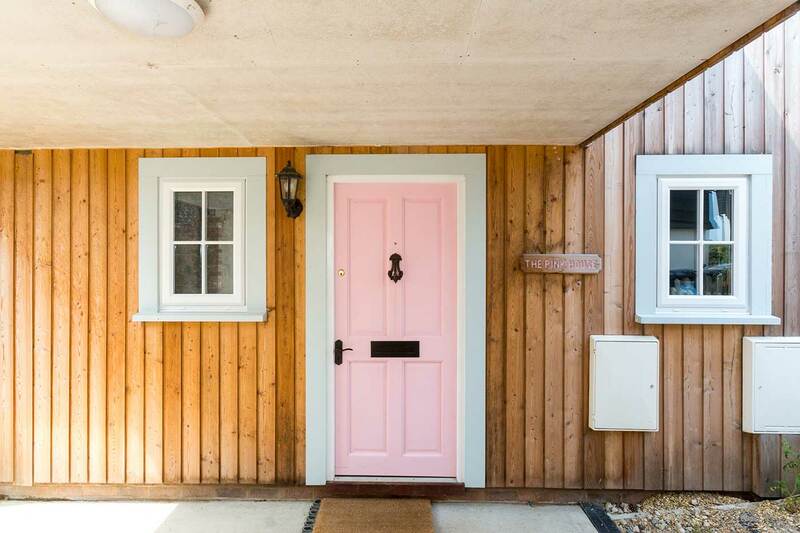 The Pink House was in a great location, close to beach, Meare boating lake, local cafes and bird reserves. 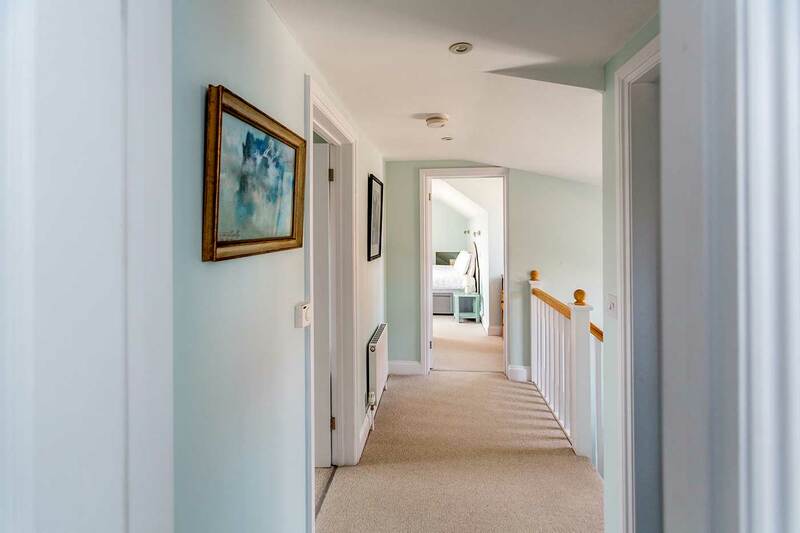 The house was ideal for a family party ages unborn – 80’s, relaxed open-plan living, light filled rooms, garden and the sound of the sea through open windows. 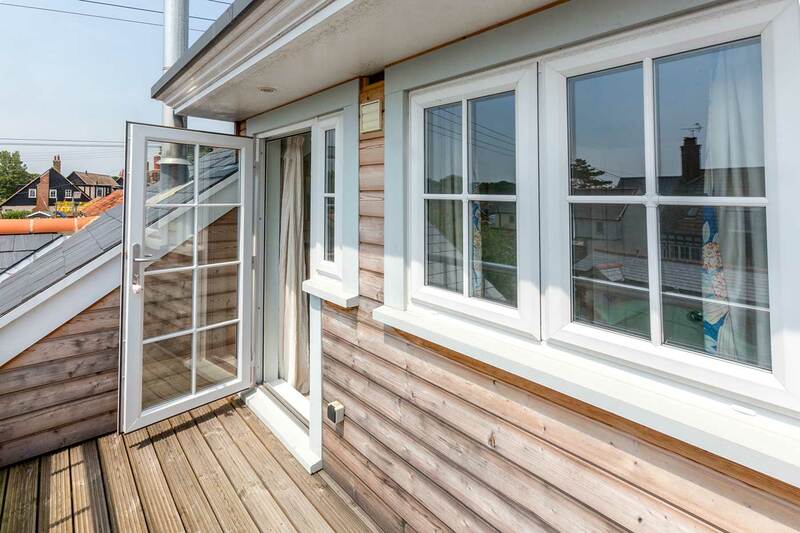 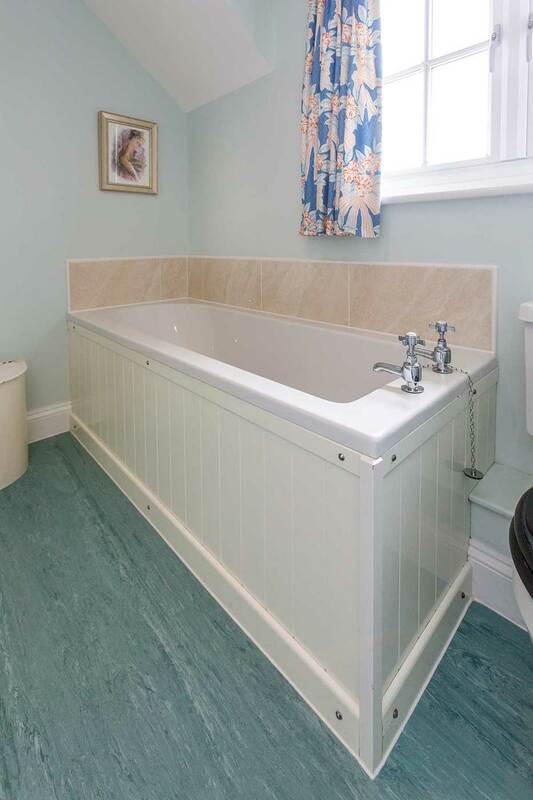 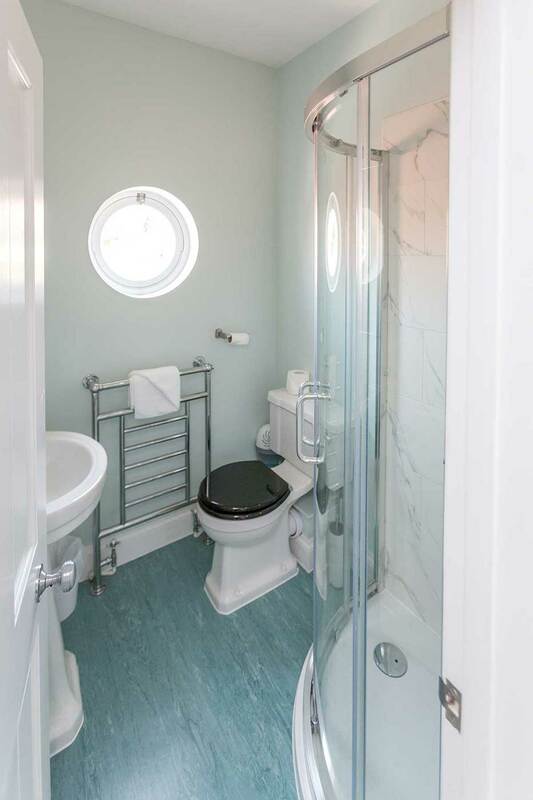 A private balcony with views to the Meare was a haven for busy parents. 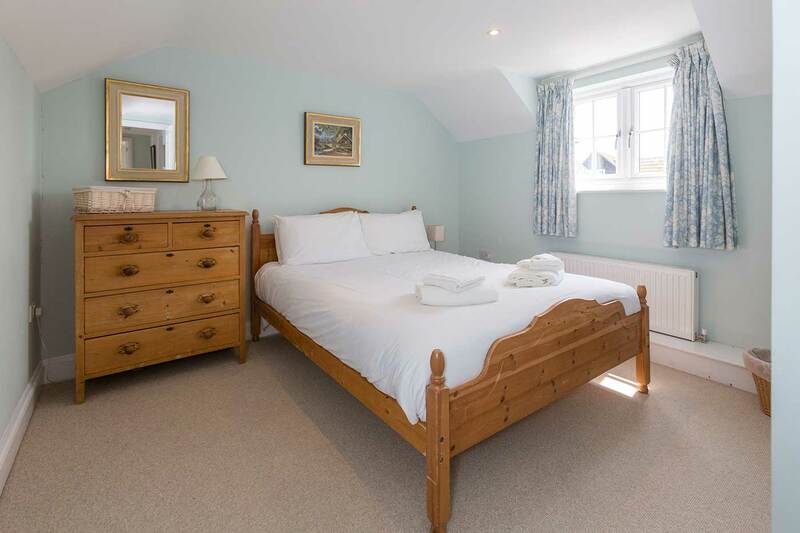 I hope to return, so many places to visit nearby.